I'm really excited about this pack and naturally I'll document my findings here. I intend to post this wrap up in 5 parts so you can follow along only a few days behind me. I'm hoping it'll be a great journey and I'm looking forward to trying some beers that I haven't had a chance to sample yet. Without any further ado, let's get into Part 3! 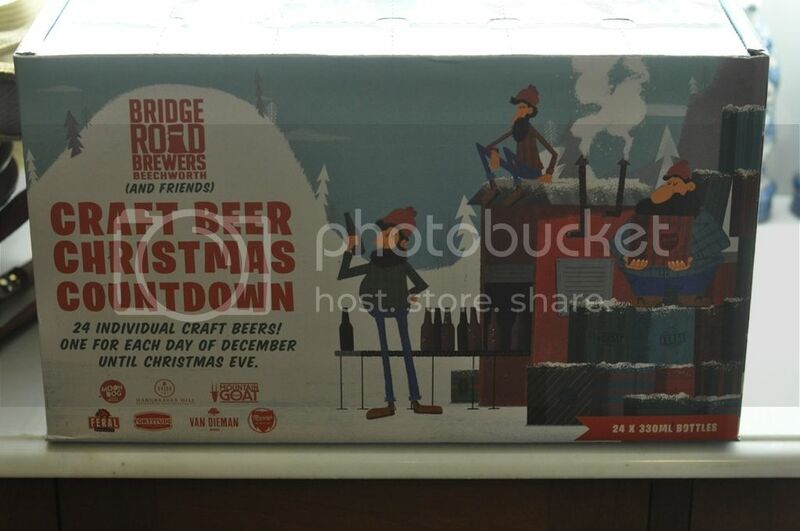 Day 11 - Bridge Road Enigma Pilsner - Bridge Road's Enigma has been a favourite of mine since it was launched. As far as I can recall, this is the first beer I had that had Enigma in it. It's fast become a favourite hop of mine, in part because of how good this beer tastes! 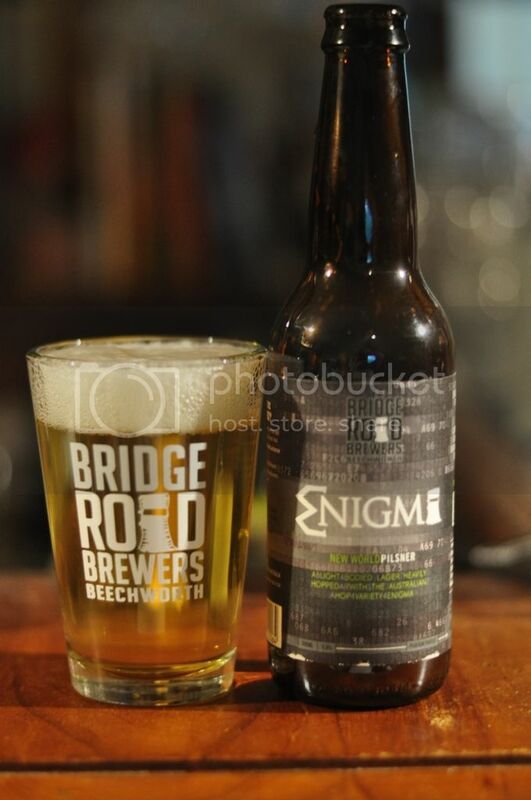 Enigma is a brilliant looking Pilsner, the pristine white head is textbook! It's also nice and crisp. That is where the similarities with a traditional Pilsner end. The Enigma hops packed a very distinctive rock melon flavour and aroma as well as some other tropical fruit flavours and a very light malt base. This is a beer that I don't drink anywhere near enough of! 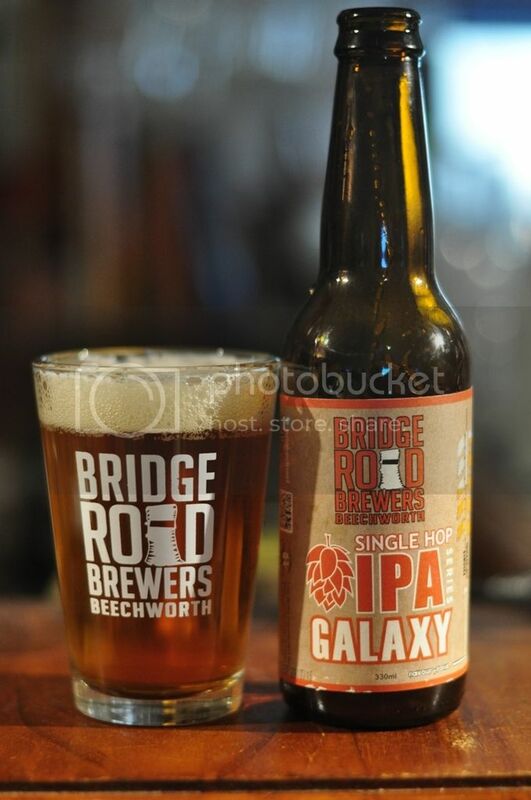 Day 12 - Bridge Road Galaxy IPA - Another beer utilizing just one hop is the Bridge Road Galaxy IPA. Galaxy is Australia's most famous hop export, with it's fruitiness really lending itself to light beers for our hot climate. I've always like the colour of this beer, despite it not being the clear golden colour I usually like my IPA's to be. This beer does everything you'd want a Single Hop beer to do; showcases the hop! It's got a nice, if possibly a little too sweet, malt base with some caramel and biscuit flavours. They are certainly in the background to the citrus and tropical fruits that Galaxy is known for. I just wish it was a little bitterer. 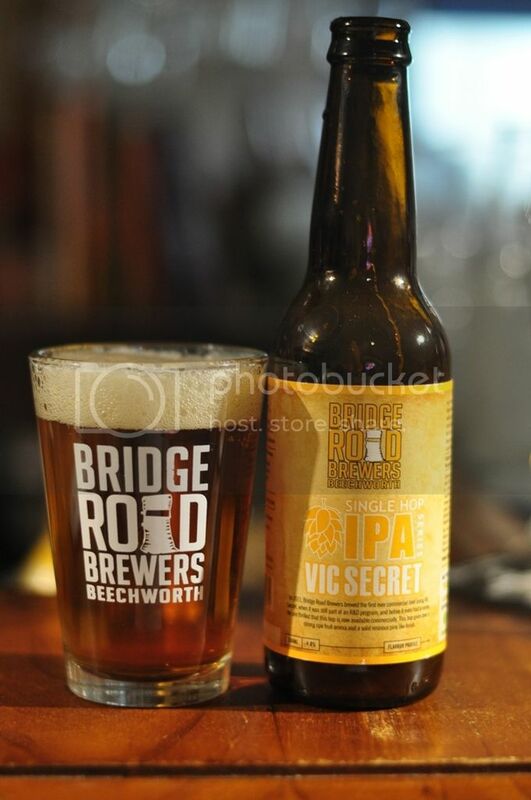 Day 13 - Bridge Road Vic Secret IPA - Three single hops on the trot; the Vic Secret IPA from Bridge Road made it's appearance on day 13 of #craftbeercountdown. I've made numerous mentions on this blog, and in person to some of you, about my severe dislike of Vic Secret as a hop. It's nothing against this Single Hop beer, but I don't like it. I think it's because it also does it's job well and showcases Vic Secret well. The earthiness and peppery spice and relative lack of fruitiness just doesn't do it for me at all! I did get a little bit of pine this time, but it didn't do enough to save this beer for me. I know others love it, so don't let me put you off! Try it for yourself! 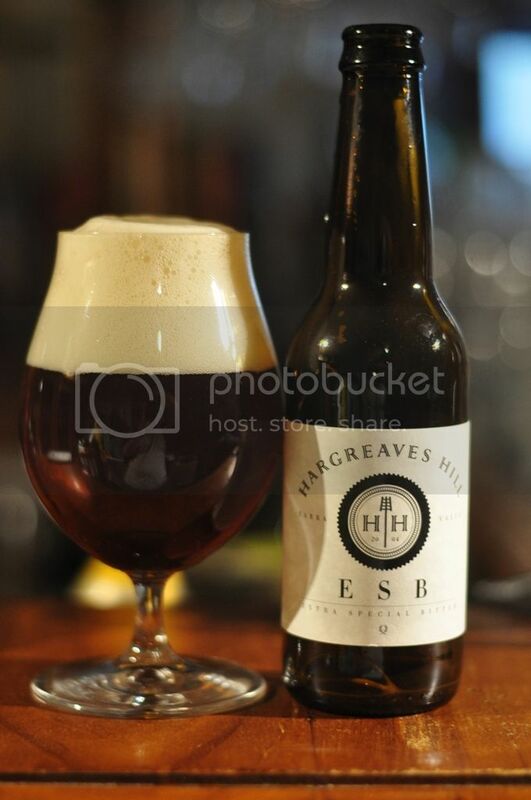 Day 14 - Hargreaves Hill ESB - I'm not the world's biggest Hargreaves Hill fan. One thing they do that I am a fan of is this ESB. The brewery has been operating since 2004 and my understanding is that the ESB was one of their first beers. It's not a traditional ESB, well what I understand a traditional ESB should be, we don't have a lot of them in Australia and most of the ones we do are often quite old from England. It's very strong on biscuit and caramel malt flavours before hops take over, with earthiness changing to citrus, mostly grapefruit. over the course of drinking. Day 15 - Fortitude Anzus IPA - I'm glad that Fortitude got to chance to redeem themselves after the debacle that was their Golden Ale on Day 8. 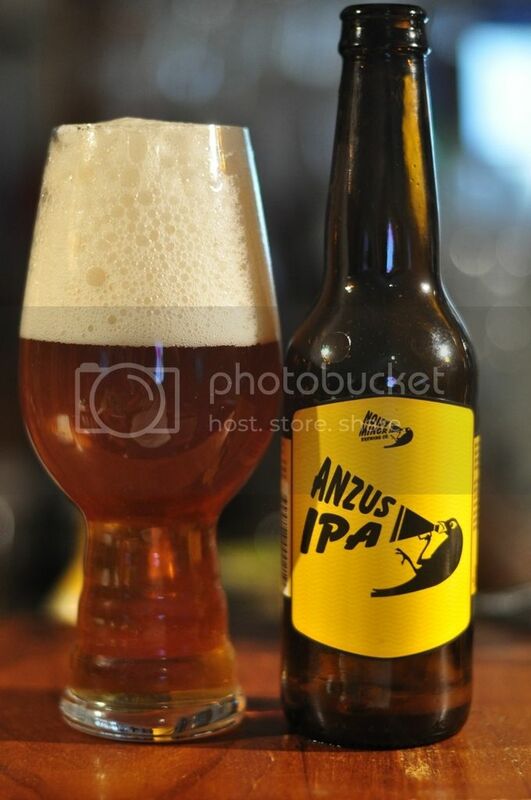 Anzus IPA is a fantastic example of the style and finished in the Top 10 (I think 7th) of the Hottest 100 beers last year. If it came from Victoria it'd easily be Top 5! It's just a brilliant IPA! It's relatively light bodied for 6% and drinks incredibly easily. There's some nice pine notes to go along with a fruitiness which is dominated by stone fruits. I almost always have this beer on tap, thanks to Anton at Tru Bru, so to see it hold up so well in the bottle was pleasing. Hopefully distribution will become wider and I'll be able to have it more often! I think this was the best collection of 5 beers so far in #craftbeercountdown. I'd highly recommend you guys all try the Enigma, the ESB and the Anzus IPA. The single hops are both worth trying as well. I'm looking forward to what's still to come; we've got guest beers from MoonDog, Murrays and Van Dieman's still to come! I don't think I've ever had something from Van Dieman's so that's one I'm really looking forward to seeing what is!